In five years of serious running, few challenges have been greater than working to correct my form. This is a huge undertaking--one that will take a long-term effort--because it requires constant focus on how I'm running. You can drift off mentally or else you'll go back to your old form. I'm not really sure how my efforts are going. All I can say is that I'm trying! I've been a slight over-strider and a heel-striker for years now. While it may make sense that a long stride would make you go faster and cover more ground with less effort, it in fact does not allow you to do any of that. It actually makes you more susceptible to injury and less economical from an energy consumption standpoint. You want a shorter, quicker stride and for your feet to hit the ground right beneath your body. You also want to hit the ground with your forefoot and then allow the foot to go through its natural motion. Ohio Sports & Fitness - "In the Long Run"
Chagrin Valley Times - "South Russell Runner Wins 100-Mile Race"
I had a pretty strong training week, logging exactly 80 miles with some solid efforts with my hill repeats and track intervals. I did my hill repeats on Tuesday, running three hard intervals on Chagrin Boulevard, followed by a hard effort up the super-steep Main Street hill in the village and a few other hills on my way back home. Living in Chagrin Falls, I have access to a lot of great hills--some long and gradual and some steep and short. There are few flat areas in Chagrin Falls to run. I headed to the track on Friday for what I planned to be 5x1600--each under 6 minutes. As I was feeling pretty fatigued after my fourth repeat, I ended up doing 4x1600 and 1x800 at 5:49, 5:50, 5:56, 5:57 and 2:58. Friday's workout was 10 miles total. On Saturday I ran 17.5 miles mostly alone in South Chagrin Reservation. I ran with the South Chagrin/Southeast Running Club crew through 7 miles, but no one was sticking around for extra miles so I went solo for the final 10+ miles. It was pretty humid and started to rain when I was done. On Sunday, I got to 16.75 miles in Solon with the Southeast Running Club. Despite not being on top of my game physically, I had a very good time as we had an excellent turnout and everyone seemed in good spirits despite the anxiety of some as the Burning River 100 is now less than a week away. Physically, I'm not sure what was going on, but I just felt kind of tired, flat and winded. I think the hard effort on Friday, combined with the 17.5 miles on Saturday and the fact that I'm still probably not 100% from Mohican, left me not quite 100% on Sunday. This week is going to be hectic. Between working full-time and having the responsibilities of a husband and dad, I have to find the time to mark a 6-mile section of the Burning River 100-Mile Endurance Run course. It's the section from the Polo Field to the Harper Ridge picnic shelter. Fortunately, Ted F., Tom A., and a few others are going to join in on the action as we mark the course on Thursday morning and evening and potentially on Friday morning. Now in its third year, the Burning River 100, a.k.a., the BR100, is a point-to-point course run in the greater Cleveland/Akron area. Many are surprised by how beautiful the course is, mostly because Cleveland/Akron has been mistakenly branded as an ugly area when the total opposite is true (our region has never gotten over the fallout from the heinous river fire of '69--a real branding/PR problem). Take it from a guy who has lived in 10 states over the course of his life; the land in Northeast Ohio has character and there are areas that are breathtaking, many of which are on full display at the BR100--steep gorges, rolling hills, peaceful wooded areas, meadows, overlooks, rivers with tons of birds including bald eagles, the Sound of Music Hill, etc. You see wildlife everywhere. And our parks? What else can I say except they are exceptional and the envy of many other cities. Our trails go for hundreds of miles. Maybe that's why we are a hotbed of ultrarunning, and many of these parks and trails are on full display at the BR100. The BR100 starts at historic Squire's Castle in North Chagrin Reservation and ends in downtown Cuyahoga Falls. It goes through the beautiful Cleveland Metroparks, Brecksville Reservation, Cuyahoga Valley National Park and Metroparks Serving Summit County. There are some decent hills to contend with and the course is fairly technical in areas with rocks and roots. The first 13 or so miles are on road. If it's going to be hot, I'd go out fast and cover the first 13 miles aggressively. The last 10 miles are mostly flat--just when you need easy terrain. 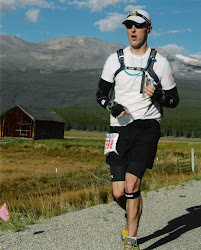 I did the BR100 in 2007, finishing sixth overall, and it's an awesome race with excellent organization, supportive volunteers and a strong ultrarunning culture to back it up. This year's Burning River 100 features a very strong field, including Tim Clement (2008 BR100 winner), Mark Godale (2007 BR100 winner and 24-hour American record holder), Jay Smithberger (2008 Mohican winner), Zach Gingerich (2008 Kettle Moraine winner and 3rd overall/1st American at the 2009 Badwater), Connie Gardner (winner of MANY races including top woman/2nd overall at the 2008 BR100) and Dawn Malone (top woman at the 2007 BR100). The darkhorses include well-known local runner Jim Chaney, Darris Blackford of Columbus and Ryan O'Dell of NY. Older guys who could surprise some folks with their speed and toughness include Frank Duchossois (who's had an excellent 2009 and is making his 100-mile debut) and TJ Hawk (10-time Mohican finisher and previous Mohican winner). I am sure I missed some names and apologize for the oversight. A special good-luck to my friend Dan C., who paced me for my Mohican 100 win and will be making his 100-mile debut at Burning River. I am returning as Tim Clement's pacer and will go the final 30 miles with him. Should be a lot of fun and I think we'll see quite a war among the frontrunners. The goal this week is 85 miles, including the 30 miles with Tim on Saturday. I plan to hit the hill repeats on Tuesday and the track on Friday. My track workout will probably be 3x1600. Even in this very troubling world, there is still so much to feel good and hopeful about. You just have to find a way to neutralize all of the negative energy we're bombarded with daily and accentuate the positive. This is not always easy and oftentimes I have to tell myself to count my blessings. I'm always on the lookout for good stories that inspire me to feel happy, positive and upbeat about the world--and today I have two to share. Meet Rich Roll, who at 40 looked in the mirror and didn't like what he saw. Two years later, after making major changes to his diet and adopting an active lifestyle, Rich completed a double Ironman Triathlon at the Ultraman World Championships, finishing eleventh overall and third among Americans. Rich, who lives in Malibu Canyon, Calif., took on a plant-based diet and lost more than 30 lbs. en route to becoming a national-class endurance athlete. You can read more about Rich's adventure by clicking here or by visiting his Web site. 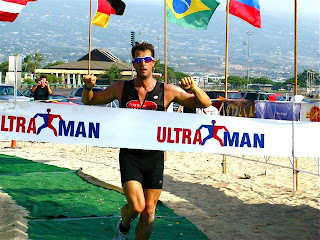 Rich Roll crossing the finish line of the Ultra Man World Championships. Photo from www.richroll.arnokroner.com. Do you think many people saw a double Ironman in Rich only a few years ago? Rich's story may not translate well to the average American, who probably wouldn't be inclined to try a double Ironman, much less a marathon. But how about a duathlon? Meet 40-year-old Tom Herzog of Overland Park, Kan. Tom lost an incredible 170 lbs. over 11 1/2 months and just recently finished a duathlon. His story is incredibly inspiring and shows just what you can do when you set your mind to it. To learn more about Tom's story, click here. What separates Tom, Rich and so many other successes is that they believed in themselves. They knew the world wanted to keep them down and, instead of surrendering to a life of health problems from free donuts at the office and going numb in front of the TV, they fought back, transforming themselves and making sacrifices. This is about believing and it comes from deep within the human soul. They suffered adversity and set-backs during their transformations, but they stayed strong in their belief in themselves and conquered great obstacles to their remarkable successes. As nothing good comes easy, they made plenty of sacrifices, as any dedicated endurance athlete must do. Forget about the fluff and garbage Oprah and others spoon-feed to make people feel good about themselves; stories of real people like Tom and Rich demonstrate the vastness of the human soul, the power of belief and courage to drive real personal change that makes the world a better place, and the ability to inspire others. Stories like Tom and Rich really connect with me. In 1999, I remember stepping on a scale that registered 219 lbs. I wore size-38 pants and a size-48 suit and not until 2003, when I was north of 220 lbs., smoking a few cigarettes a day and eating way too much fast food, did I really do something about my ballooning weight. Fifty-one pounds later, I feel like--and am in a very real way--a different person. Forget about winning a 100-mile race, breaking 3 hours or making it to Boston; there was a time when the sheer thought of trying to finish a marathon sent shivers up my spine. But like Tom, Rich and so many others, I believed and was willing to make sacrifices. As I made changes to my diet and took my running to the next level (I've always run; just not as much as I do now), the pounds came off and over the course of a few years I literally transformed myself into an endurance athlete. I will never, ever go back! Why would I? Life is so much more adventurous and fulfilling now. Ask almost any endurance athlete if they're super-talented or blessed with natural ability and most will say no. They'll tell you they just work hard. In my opinion, the overwhelming majority of people out there have no idea what they are capable of physically and mentally because they don't ever test their limits and they're unwilling to make sacrifices. Society today doesn't want us to test our limits or make sacrifices; it just wants us to stuff our faces with garbage and veg in front of the TV watching endless re-runs of "Law & Order." I completed another solid training week as I now prepare for an exciting fall and early-winter racing season featuring the Tussey Mountainback 50 Mile/USATF 50-mile national championship on Oct. 3 and The North Face Endurance Challenge Championship Gore-Tex 50-Mile on Dec. 5. I'm also planning the Aurora Labor Day 5K to assess where I am with my leg turnover. For the week, I ran 72.3 miles, with quality hill-repeat and track workouts. My track workout on Friday saw three one-mile repeats at 5:38, 5:39 and 5:48. I kind of lost it on that last mile but overall this was a solid workout and something to build on over the next eight weeks. So long as I stay committed to hills repeats, intervals and high mileage, I will achieve the quick leg turnover and power I'll need to run well at both Tussey and North Face. I am also continuing to work on my form to correct my over-striding. This is so hard! Based on a lot of stuff I'm reading, including the late Gordon Pirie's excellent booklet, "Running Fast and Injury Free" (which you can download for free), I'm trying to run with my legs slightly bent at the knees and my forefeet hitting the ground directly beneath my body. Contrary to conventional wisdom, the key isn't to have a long stride; the key is to have quick turnover. Pirie, who was a legendary runner from Brittain, says that you want three turnovers every second. I'm going to see if I can transition into neutral-cushion shoes that will encourage forefoot striking. This week the goal is 80+ miles with high-quality hill-repeat and track workouts. I'm planning five 1600s, each at sub-6-minute pace. Needless to say, it was tough not running in the summer Buckeye Trail 50K, which drew some great talent from the region. At the time, I just didn't think it was a good move during my recovery from the Mohican 100, but sometimes you just have to say to hell with it. The Buckeye is a premier local ultra and I should have run in this race. Having learned my lesson, I've decided that come hell or high water I will be in next year's Buckeye 50K, even if it's a training run. A final thought on the Tour de France, which I've been obsessed with over the past two weeks. Like most people, I was rooting for Lance Armstrong, but then I saw his Astana teammate, Alberto Contador, climbing the mountains and I realized how badly the Spaniard wanted to win. He won the tour in 2007 and now, having dashed Lance's hopes on the Swiss Alps, where Lance used to destroy his opponents such as the great Jan Ulrich, he is the man. There could be no greater climber or measure of an endurance athlete's heart and desire. Go Alberto! On a side note, I just don't understand why Americans don't like endurance sports, which seem to have a good foothold in European life. I'm not one of those people who think all things Europe are good; I'm not. I think European life is way over-rated. But I do think Europeans turn out in huge numbers to support great events like the Tour de France and I wish they'd support endurance sports here in the States. Most of the people who show up at marathons are there because they know someone in the race. In Europe, it's part of life. The week of July 6-12 saw a lot of progress in my recovery from the Mohican 100. I covered 70 miles for the week, including a 31-mile weekend. Although right now I'm fighting some minor plantar faciitis that I'm treating with ice, overall I feel pretty good and am closing in on a total recovery. With the Buckeye Trail 50K (July 18) and Burning River 100 (Aug. 1) around the corner, it is easy to feel tempted to enter these very popular local races, but I'm not going to because I need to focus on recovery and preparing for what's next. The lure of the BR100 is especially strong, as it was my first 100 (2007) and this year's race is attracting a very competitive field. Fortunately, the fact that I've already committed to returning as pacer for the reigning BR100 champ, Tim Clement, will keep me out of the 100 and on track for two quality 50-milers this October and December, respectively. At some point, I will go for two, three or more 100s in a single year, but that won't happen in 2009. 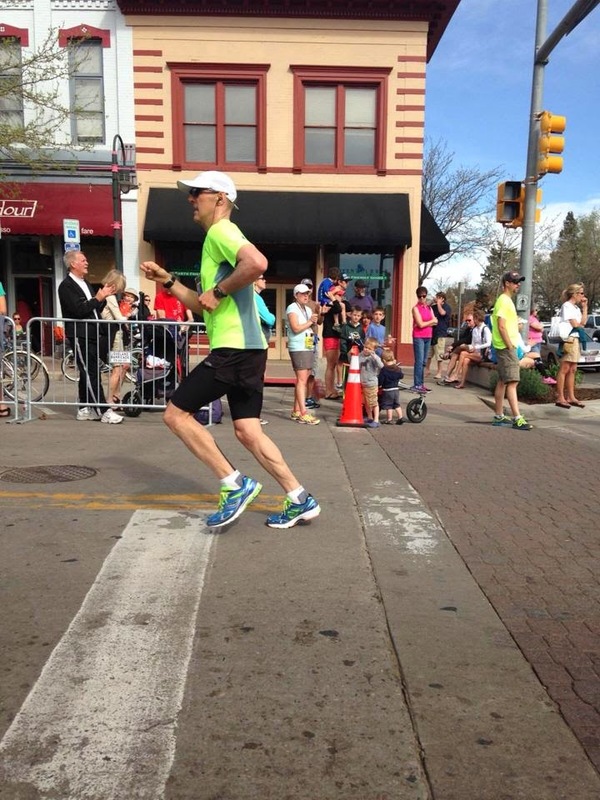 I need to decide what's more important--trying to break 2:50 in a marathon I have no shot at winning, or reaching whatever potential I may have as a 100-mile runner who has a shot to win some races. Seems like the decision may be easy. More immediately, it'll be interesting to see what I can do in a 50-miler. Which brings me to what's next. I've registered for the Tussey Mountainback 50-Mile race, which will serve as the USA Track & Field 50-mile national championship and be held in State College, Penn., and also for The North Face Endurance Challenge Championship Gore-Tex 50-Mile Race in San Francisco on Dec. 5. Between now and then, I have some miles to run, some hills to scale (a la repeats) and some track intervals to hammer. The goal is to create a me with super-strong hill legs, excellent turnover and beastly endurance. I do not intend to run either race like a chump, or to show up in San Francisco just happy to be there. I first need to get rid of this plantar faciitis. Plantar scares me, because I've seen the havoc it can wreak over a period of months. Before I sign off, I want to throw out a big congrats to two ultrarunners I really admire. Hal Koerner of Ashland, Ore. won a very hot 2009 Western States 100 with a blazing-fast time of 16:24. Hal was the reigning champ from 2007 (the 2008 race was canceled due to wildfires) and beat an outstanding field. Held in California's beautiful Sierra Nevada region, the WS100 starts at the Squaw Valley Ski Resort and ends in Auburn, traversing mountains, ridges and canyons. I admire Hal's strength and tenacity. Congratulations to another incredible ultrarunning talent, Karl Meltzer, on his win at the Hardrock Hundred in the San Juan Mountains of Colorado. With 66,000 feet of climb and descent and an average elevation of 11,000 feet, Hardrock is generally considered to be the most challenging 100 in the nation. This was Karl's fifth career Hardrock win and his third 100-mile win of 2009. He also won the Masanutten and Big Horn 100s and, from what I hear, is out to collect seven 100-mile victories this year to break the record he set in 2006, when he became the first person to ever win six 100s in a single calendar year. At 41 years of age, Karl is amazing and simply doesn't seem to have many limits to what he can do in mountain races and at altitude. The goal this week is log 75 miles and start getting in some good quality, with hill-repeat and track workouts. I still haven't decided what my track program will look like, so for now I'm going to stick to mile repeats and may squeeze in a few 800s and 1200s. It's hard to believe, but 2009 is now half over. I just passed 2,000 miles for the year and am on pace for about 4,000 for the year. Last year I came very close to 4,000--not that it matters because, really, it doesn't. What most matters is what you actually do during the year to race at a high level. I won a 100-mile race, but, as legendary ultrarunner Jim Garcia once said, "You are only as good as your last race." You can't look back if you want to move forward. And so I now go forward. During these past few weeks I've gone through quite a post-race recovery process--a process few runners are willing to talk about and many would deny happens to them. During the first half of the week after the Mohican 100, I was flying high from my win--thanks to the endorphins and a steady stream of congrats from friends, family and folks I've never even met. But then mental and physical fatigue really set in and I struggled for the next several days. I had trouble focusing and just didn't have it going physically, enduring a few days of aches like you'd have during a bout of the flu. Such post-race effects are to be expected after an all-out effort at Mohican--a race I'd basically focused on winning over a course of 18 months. But what I didn't expect was an even worse second week (the week that just ended). My focus was really off and I wasn't too motivated to run, though I achieved my target of 55 miles for the week. I'm not afraid to admit I was kind of depressed and very irritable. Just ask Anne, who should be made a saint. Again, not many runners would admit this...but I will. And I know not every runner is the same. Some can rebound from an event just fine; others have a hard time, as I have. This I do know; nothing will take it out of you like a race of 100 or more miles. It takes time to come back. Fortunately, I think I bottomed out and am on the rebound even as I'm fighting a cold. I've counted my blessings and am grateful for each of them (and there are many!). I'm also ready to move on to the next challenge. Now two full weeks removed from Mohican, I'm slowly reintroducing myself to high mileage and the training mindset (while taking advantage of some extra free time to enjoy the Tour de France). This week the goal is 65-70 miles with no speedwork or hills. Speedwork and hills will come gradually when I'm three or four weeks removed from Mohican and my legs hopefully feel strong and the fire in my gut is raging again (it's smoldering right now but the intensity is gradually building). I was so mentally out of it last week that I actually considered racing in the summer Buckeye Trail 50K on July 18 to give myself something else to focus on. I've since decided not to race the Buckeye, as I have other plans I'm now working toward. 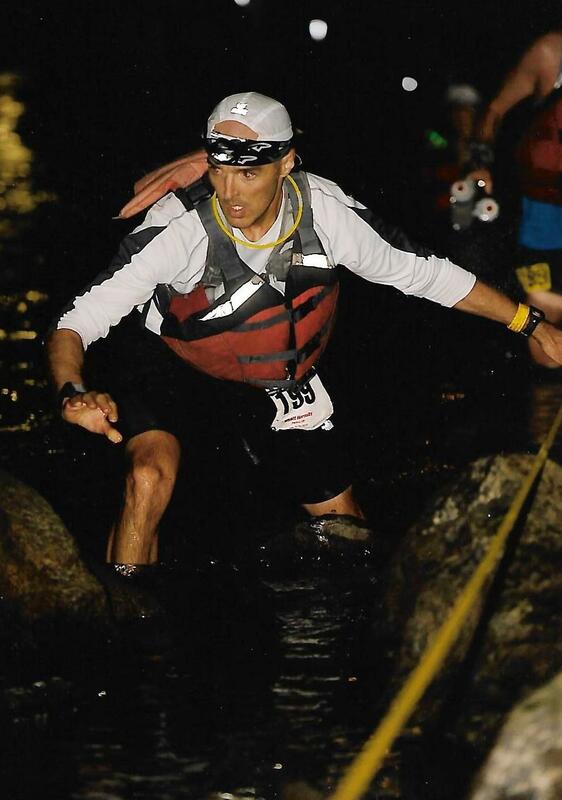 I've entered the Tussey Mountainback 50-Mile in State College, Pennsylvania on Oct. 3. The Tussey will once again host the USATF 50-mile national championship. This will be my first 50-miler and USATF championship event. I've also officially joined the USATF and am awaiting my membership number. I've also decided to run in The North Face Endurance Challenge Championship Gore-Tex 50-Mile Race on Dec. 5 in San Francisco. This race will attract some of the top ultrarunners in the country and is run on a course that The North Face rates 5 out of 5 stars for overall difficulty. Run in the Marin Headlands just north of the city, the course features lots of long, steep climbs of several hundred feet at a time and is very scenic. Last year's race was won ($10,000 first-place prize) by Matt Carpenter, a legendary mountain runner, and featured other huge names in the sport: Karl Meltzer, Uli Steidl, Kyle Skaggs, Michael Wardian, Tsuyoshi Kaburaki, Hal Koerner, Zach Miller, Kami Semick and Nikki Kimball. It will be interesting running in a race with such a deep pool of talent that is so overwhelmingly amazing and better than I am. But with very mild conditions--San Fran in December--this will be a good first dip of my feet in the Western ultrarunning waters. Hopefully my second dip will be the 2010 Western States 100. To prepare for both 50-milers, I'm going to get up to 80-100 miles per week with a strong emphasis on intervals, hill work and, of course, long runs, along with a continued emphasis on core and upper-body strengthening and nutrition. No question about it--I have to have good leg turnover and legs well-conditioned for up- and down-hills to be a factor in the Tussey Mountainback and to finish with a respectable time at The North Face Endurance Challenge Championship Gore-Tex 50-Mile Race. In many running blogs I read, the author focuses on what they did during the training week or in a race, without ever really letting the reader into their heart and mind. Blow-by-blows are entertaining enough and I've done it plenty on this blog, but that really doesn't reveal what a life of running is really like. Runners are often looked at like oak trees--strong, dependable and enduring. That's true to a degree, but runners can go through ups and downs just like non-runners, and races can wreak havoc on the psyche. I went through a very difficult week as my mind simply was not clicking on all cylinders and I grew more and more negative, irritable and unfocused. I want to try to understand what was at work in me so I can hopefully prevent it after the next race and help others avoid going through the same.